Discerning the facts about the background of the Mohammedan mass killer named Omar Mateen is beyond the scope of this commentary as there are any number of possibilities concerning how a man who was an employee of a United States Department of Homeland Security contractor might have been manipulated by the Federal Bureau of Investigation as a means to set him up for some kind of terrorist attack. Two different articles, Confirmed: FBI Introduced Florida Shooter to ‘Informants and Violence Begets Violence describe some of these possibilities, which I believe are both plausible and credible. We should know enough by now not to trust anything that is told to us by officials of the government of the United States of America and their mouthpieces in the mainslime media. No, the purpose of this particular commentary is to place the killings that took place in Orlando, Florida, on Sunday, June 12, 2016, the Fourth Sunday after Pentecost and the Commemoration of Saint John of San Facundo and of Saints Basilides, Cyrinius, Nabor and Nazarius, in a supernatural context. There are plenty of websites on which can be found various details of the tragedy that occurred at a den of iniquity, the Pulse nightclub, in Orlando. This website exists to discuss the events of the Church Militant in this time of apostasy and betrayal and the events in the world-at-large from the perspective of the true Faith, outside of which there is no salvation and without which there can be no true social order. It is even for Catholics to forget basic truths in the midst of the wall-to-wall news coverage of terrorist attack in Orlando, Florida, on Sunday, June 12, 2016, is the fact that the Pulse nightclub, which caters to those steeped in unrepentant sins of perversity, would not exist in a country that recognized the Social Kingship of Our Lord Jesus Christ. Such a den of iniquity has no right to exist in a just society, and it used to be the case in some places in the secular, religiously indifferentist United States of America that police vice squads raided such places from time to time to shut them down. No more, though. No more. Those who practice the sin of Sodom and its related dark arts are now considered to be a privileged “civil rights” group by the lords of the world and by the lords of the counterfeit church of conciliarism. Indeed, Jorge Mario Bergoglio and his band of lavender friendly revolutionaries have enabled and empowered the so-called “GBLT community” in its demands for recognition and in its efforts to intimidate those who even cite verses from Holy Writ to demonstrate that perverse acts of nature stand condemned before God, Who ordained that the use of the marital privilege is the sole prerogative of a man and a woman in a valid marriage. The Pulse nightclub is a portal to hell, and it is tragic that it served as the place where unrepentant sinners met their deaths at the hands of a Mohammedan who believed that it was his duty to kill. Look at these remarks. They are almost identical. The agenda of the homosexual collective has been pushed with such great unopposed force that it is considered “normal” and “natural” for people to identify themselves on the basis of a freely chosen persistence in perversely sinful behavior. Although human beings have the ability to choose to sin, they have no moral or civil right to do so. Mortal Sin darkens the intellect and weakens the will of those who commit it, and it disorders a soul to be habitually unruly in its surrender to the basest of passions. That Obama/Soetero and Trump each chose to use an artificial phrase, “sexual orientation,” and to speak in terms of “free people to live their lives” and to “love who they want” so as to “express their own identity” should prove once and for all that there is no hope, humanly speaking, for the United States of America. To surrender to moral depravity as a “human right” and as a source of self-identification is to demonstrate the complete grip that the adversary, who prowls about the world seeking the ruin of souls, has on the entire political, legal, cultural and social framework of the United States of America. Public life is indeed stained by crime today, and no amount of “spinning” can change reality into something that it is not. That which is sinful can never the foundation of a just social order. Sin brings violence in its wake. Violence is the inevitable consequence in a land where sin is celebrated as a "civil right," no less as a means of "love" when it is nothing other than act of hatred of God and of one's own eternal good. Indeed, institutionalized violence was the inevitable consequence of the Protestant Revolution, which was born in violence, and the subsequent rise of Judeo-Masonry and its false philosophies of naturalism, each of which has contributed to the the institutionalization of sin and thus of violence in the world. So do you also reckon, that you are dead to sin, but alive unto God, in Christ Jesus our Lord. Let no sin therefore reign in your mortal body, so as to obey the lusts thereof. Neither yield ye your members as instruments of iniquity unto sin; but present yourselves to God, as those that are alive from the dead, and your members as instruments of justice unto God. For sin shall not have dominion over you; for you are not under the law, but under grace. What then? Shall we sin, because we are not under the law, but under grace? God forbid. Of course it is tragic that human beings were killed so suddenly in a wanton act of terror. It is also tragic that the friends and relatives of those who were killed are suffering so terribly now, especially so as they should be grieving over the fact that the massacred happened to have been spending their last moments on earth in a den of moral depravity. What is more tragic, however, is that most of those slaughtered four days ago now by a Mohammedan man, who may or may not have been a stooge of the government to make the “gay community” more sympathetic and thus to “shame” anyone who seeks to criticize the so-called “GLBT lifestyle,” may have lost their souls for all eternity in hell. As is the case with each Mortal Sin in the objective order of things, the sin of Sodom is an act of terror against the Most Blessed Trinity. It is a rebellion against both the Order of Creation (Nature) and the Order of Redemption (Grace). Perverse sins in violation of the Sixth and Ninth Commandments are also acts of terror against the souls and the bodies of those who commit them. God has made us to know, to love, and to serve Him as He has revealed Himself to us through His Holy Catholic Church. The very purpose of our lives to serve Him faithfully in this life as members of the Catholic Church so that we can be ready at all times to meet Our Divine Judge in the face at the moment of our Particular Judgment. Those who do not understand this—or have consciously rejected this truth—will seek for “meaning” in their lives in a variety of different ways, including the indulgence of illicit “pleasures” that make them the slaves of their passions. Leaving the subjective judgment of souls to God alone, it is nevertheless the case, therefore, that those killed by Omar Mateen four days ago were not ready in the objective order of things to face God at the moment of their deaths. It is, objectively speaking, very unlikely that many of those killed were saved as they had led lives of moral reprobation. This is the greatest tragedy of all as the loss of a single soul, made in the image of the Most Blessed Trinity and redeemed by the shedding of every single drop of the Most Precious Blood of Our Blessed Lord and Saviour Jesus Christ, for all eternity in hell is irreversible. 16. The reprobate, then, shall be tormented in all the senses of the body. They shall also be tormented in all the powers of the soul. Their memory shall be tormented by the remembrance of the years which they had received from God for the salvation of their souls, and which they spent in laboring for their own damnation; by the remembrance of so many graces and so many divine lights which they abused. Their understanding shall be tormented by the knowledge of the great happiness which they forfeited in losing their souls, Heaven, and God; and by a conviction that this loss is irreparable. Their will shall be tormented by seeing that whatsoever they ask or desire shall be refused. “The desire of the wicked shall perish.”(Ps. 111:10). They shall never have any of those things for which they wish, and must forever suffer all that is repugnant to their will. They would wish to escape from these torments and to find peace; but in these torments they must forever remain, and peace they shall never enjoy. This should give each one of us pause for concern. We must beg Our Lord to send us the necessary graces through the loving hands of His Most Blessed Mother, she who is the Mediatrix of All Graces, to want to work hard to save our immortal souls from the pains inflicted upon the damned in hell. One thing is for sure, however, and that is choosing to spend time at a den of iniquity such as The Pulse nightclub in Orlando, Florida, is now way to avoid the pains of hell. Indeed, such a plan is a den of the devil and thus a portal to hell. Mohammedanism is a false religion that has been committed to the spread of its false tenets by means the sword since its inception in the Seventh Century. It is a religion of death to infidels and a religion of eternal death to its adherents. Thus it is that all of the naturalistic jabbering about “radical Islam” is a distraction designed to deflect attention from the simple fact that Mohammedanism Has Never Been A Religion of Peace. Even if Omar Mateen was, as some are claiming, a “nominal” practitioner of Mohammedanism and may have been a regular patron at the den of iniquity where he took the lives of forty-nine people and met his own end, it is nevertheless the case that it appears he was intent on killing for what he thought would advance the cause of the Islamic State of Iraq and Syria. He was doing what has come naturally to Mohammedans from the very beginning: killing in the name of their false deity and in the name of their false prophet, Mohammed. Say to them: As I live, saith the Lord God, I desire not the death of the wicked, but that the wicked turn from his way, and live. Turn ye, turn ye from your evil ways: and why will you die, O house of Israel? Thou therefore, O son of man, say to the children of thy people: The justice of the just shall not deliver him, in what day soever he shall sin: and the wickedness of the wicked shall not hurt him, in what day soever he shall turn from his wickedness: and the just shall not be able to live in his justice, in what day soever he shall sin. Yea, if I shall say to the just that he shall surely live, and he, trusting in his justice, commit iniquity: all his justices shall be forgotten, and in his iniquity, which he hath committed, in the same shall he die. And if I shall say to the wicked: Thou shalt surely die: and he do penance for his sin, and do judgment and justice,  And if that wicked man restore the pledge, and render what he had robbed, and walk in the commandments of life, and do no unjust thing: he shall surely live, and shall not die. Catholics pray for the good of all men, the ultimate expression of which is the salvation of their souls as members of the Catholic Church. No one loves another authentically if he does anything, whether by omission or commission, that reaffirms that person in anything contrary to the immutable laws of God. Love is an act of the will, not of empty sentimentality, and thus it is that those who died at The Pulse had no true love for their partners in sin and degradation as to persist in that which is harmful to the souls of others is to show oneself to be their worst enemy imaginable. There is no worse fate that can who chooses of one’s own free will to thumb one’s nose at the binding precepts of the Divine Positive Law and the Natural Law in the name of a “love” that is no love at all. Catholics are expected to perform the Spiritual and Corporal Works of Mercy, and one of the foremost Spiritual Works of Mercy is to admonish the sinner. It is very telling that Jorge Mario Bergoglio reaffirms sinners such as those killed in Orlando, Florida, while he castigates those who seek their conversion. We are living in the time of Antichrist, a time where wrong is right, evil is good, vice is virtuous, heresy is “mercy,” and sacrilege is “worship.” In the midst of this all, though, we must pray for those who are propagating evils to convert before they die, remembering also that the sufferings we may have to endure at their hands may be the means of our own salvation and of theirs if we offer up whatever merit we earn from the patient endurance of such sufferings as the consecrated slaves of Our Blessed Lord and Saviour Jesus Christ through the Sorrowful and Immaculate Heart of Mary. Although partisans of the false opposite of the naturalist “left” have focused on “gun control” in the wake of the mass killings in Orlando, Florida, four days ago now, the truth is that nearly fifteen thousand human beings have been killed in in their mothers’ wombs in the United States of America alone since Omar Mateen started firing away at The Pulse in Orlando, Florida, four days ago now. Men in white coats kill babies surgically, and many among their number prescribe and/or dispose abortifacients of one form or another. It is thus the height of hypocrisy for such scions of Modernity as Barack Hussein Obama/Barry Soetoro and Hillary Diane Rodham Clinton, et al. to push for “gun control” while they indemnify baby-killers with wanton impunity. WASHINGTON, D.C., June 10, 2016 (LifeSiteNews) – In her speech to the Planned Parenthood Action Fund on Friday afternoon, Democratic presidential candidate Hillary Clinton saluted an abortionist caught saying that she will “strive” to remove an unborn child's skull and brain intact. The abortionist also described how she performs a potentially illegal abortion procedure. But Dermish is also known for other words she uttered on video to undercover investigators with the Center for Medical Progress (CMP). During a meeting at an abortion conference on October 12, 2014, Dermish laughed as she said removing an aborted baby's skull and brain intact will "give me something to strive for." "She'll pull out, like, kidneys and heart,” Dermish tells Daleiden. “The heart we frequently see at nine weeks. She always looks for it." "Just like for fun?" Daleiden asked. "Well, it's cute," another abortion worker, from Whole Women's Health in Texas, interjected. "I have so much respect for [fetal] development," Dermish said in the video, adding that the growth of unborn children in the womb is "just so incredible." In the same video, she admitted she sometimes performs a technique that may be a partial birth abortion, "because it's easier to get" the organs that buyers have requested. Dermish admitted that she converts the child undergoing the abortion to a breech (feet-first) presentation and then she will “remove the extremities first - the lower extremities - and then go for the spine,” before terminating the unborn child. That may be a form of partial birth abortion, which is a federal felony punishable by two years in prison and a fine of $250,000. Dermish said she “trained with” Dr. Deborah Nucatola, the senior director of medical services at Planned Parenthood, who was filmed sipping wine and munching salad in CMP's first video. No country can ever be made safe while the killing of the innocent preborn continues with legal impunity as it is heralded as a constitutionally protected “right.” Our modern caesars want to confiscate every single legally-owned firearm in the country. Doing so, however, would not end deaths by firearms as criminals, including those who enter the country illegally with the full benediction of our caesars and caesarettes, would still be able to kill in a country and in a world where the most violence is done to the innocent preborn with full weight and protection of the civil law. The decriminalization of chemical and surgical baby-killing has unleashed a cycle of violence as it is a relatively simple thing to dehumanize someone after birth once one has dehumanized babies in the sanctuaries of their mothers’ wombs. As noted most recently in No Human Being Is A Vegetable, the dehumanization of the innocent preborn has made it more possible for those intent on killing after birth to use the medical industry’s manufactured, profit-making myth of “brain death” as the pretext to declare living human beings as “brain dead” in order to vivisect them alive for their bodily organs. This is being done in the name of “giving the gift of life” even though it is nothing other than cold-blooded murder of a type that would have made Montezuma and his fellow Aztecs quite proud. 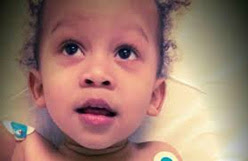 Mirranda Lawson is a two-year-old girl who choked on popcorn about one month ago (May 11). Within a few days the doctors and hospital were presenting to the parents that Mirranda was "brain dead." However, they could not confirm "brain death" without doing the crucial and lethal apnea test. Mirranda's parents wanted the ventilator to be continued, but the doctors and the hospital wanted to stop Mirranda's ventilator for 10 minutes. This is called an apnea test and it can only make Mirranda's condition get worse and possibly kill her. We were in court on Thursday, June 9. After the judge heard the testimonies, the judge said he would rule on Friday, June 10. His ruling was that the doctors and the hospital could carry out the testing and evaluation at their discretion. The judge heard testimony that the removal of the ventilator from Miranda could only harm her and possibly kill her. Yet he ruled that the doctors and the hospital could remove Miranda's life support. Yes, we hear about killing of many innocent people in Orlando. It is absolutely awful that these actions occur. 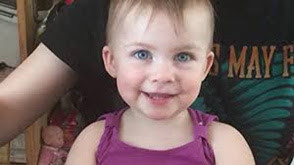 But is it anymore awful than the medical and legal system has a way to impose death on beautiful 2-year-old Mirranda Lawson? Mirranda choked on popcorn. Miranda had a lack of oxygen resulting in her being in an unconscious comatose state but still alive. When a person, especially a young person, is unconscious and on a ventilator, the desire is to get their vital organs for transplantation into others who have a greater lobby. Is Mirranda the only one that has fallen prey to the medical and legal system to get organs? No, every time a heart is transplanted it is a beating heart that is observed by the surgeon as he prepares to stop and immediately cut out the heart from that person. Every time there is a declaration of "brain death" followed by vital organ excision, the transplant surgeon opens the chest and sees the beating heart. Does he not know the difference between life and death? Jahi McMath had a death certificate issued on her on December 12, 2013 when she was 13. She had to be transferred to New Jersey to save her life. Jahi has had her 14th and 15th birthday in New Jersey, yet she has a death certificate in California. Is Jahi a living person? Yes, and she was not dead when she was declared "brain-dead" when a death certificate was issued on her. Jahi was and still is a living person. Israel Stinson, a 2-year-old boy, had an asthma attack in early April 2016. Within a few days the declaration of "brain death" was placed on him. Israel needed food and water that was denied to him for a month. Israel needed a tracheostomy like every patient who is on a ventilator for about two weeks. No doctor or hospital in this country would treat Israel. It was necessary to transfer him out of our country to a developing nation where he has received needed nutrition, tracheostomy and gastrostomy. Israel is alive and needs to come back to the United States. But where's the funding to pay for the air ambulance to transfer him back to the United States and where is the doctor and the hospital that will treat him? Yes, the killing in Orlando was absolutely terrible, but what happens in our medical and legal system that is designed to get organs from patients who are unconscious and on a ventilator especially when the patients are young? When the parents say no, you cannot do an apnea test that can be only harmful and possibly kill my child, they plead with the doctors to help and they even go to court for help. Yet there is no help because it is a medical and legal system designed to get organs for transplantation from unconscious comatose persons on a ventilator. We must remember that we are the greatest terrorists alive. Our sins caused Our Blessed Lord and Saviour Jesus Christ to suffer unspeakable horrors in His Sacred Humanity during His Passion and Death and they caused Our Blessed Mother's Immaculate Heart to be pierced through and through with those Seven Swords of Sorrow, four of which were plunged deep into that same Immaculate Heart during her Divine Son's Passion and Death. We must be punished because of our own sins, and it is important for us to remember that even though what happened in Orlando, Florida, four days ago was in a place of moral depravity, the reality is that any of us could meet with such a death as a result of the forces of evil that have been unleashed by the lords of Modernity in the world and Modernism in the counterfeit church of conciliarism. I should also add that those forces of evil have been further unleashed by our own sins as we are more responsible for the foul state of the world and of the Church Militant on earth than we realize or would like to admit. The enemies of Christ the King within in our souls and in the world-at-large will be defeated by Our Lady's Most Holy Rosary and the fulfillment of her Fatima Message, and that won't be by Jorge Mario Bergoglio, who is certainly an agent of the man of sin: Antichrist.